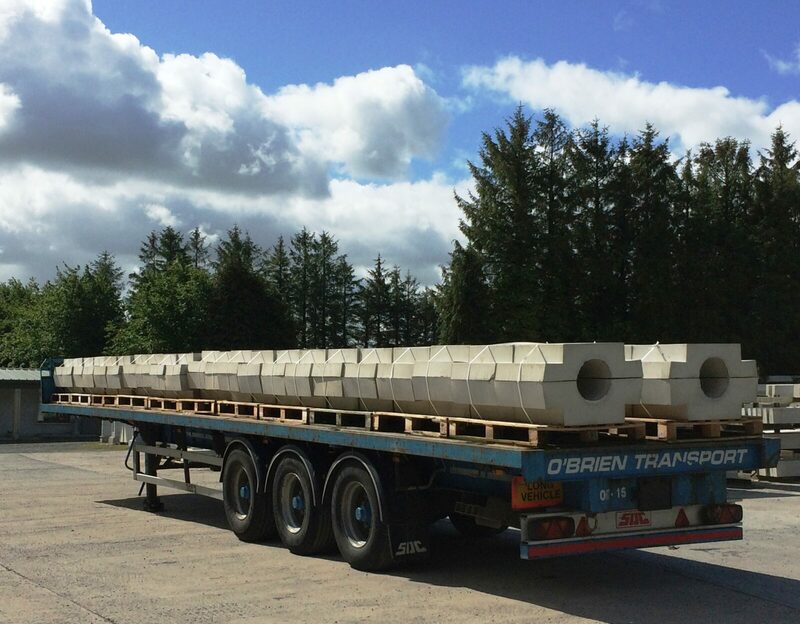 Delaney Concrete manufactures a range of pipe collars and weights. Pipe collars are used to weigh down an underwater pipelines. The collars are placed along the length of the pipe to sink the pipe and keep it in place in tidal conditions. The precast concrete pipe collars and weights are custom made to suit your pipe size and weight requirements. They are manufactured using self-compacting concrete which produces a dense concrete with a high quality finish. Concrete produced by Delaney Concrete has a characteristic strength of 49N and a minimum strength of 40N after 7 days. These pipe collars are made from solid concrete pieces without any steel reinforcement to reduce the risk of corrosion. All fixing or lifting sockets used are stainless steel. We also have a weights for larger underwater pipes which come as a single pieces. Pipe collars are currently available to suit pipe sizes from 100mm to 315mm but if you need a collar outside of this size range we will discuss all the available options with you.